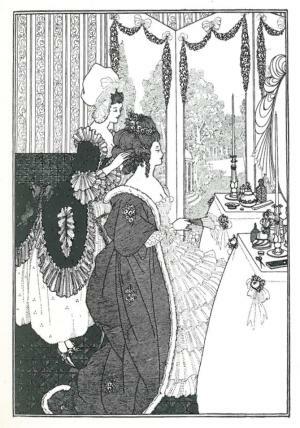 This entry was posted in Favourite Finds and tagged 1890s, Alexander Pope, Aubrey Beardsley, book illustration. Bookmark the permalink. 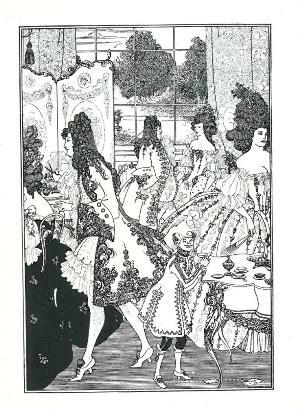 I have a copy of this delightful book, with ten illustrations by Beardsley – but it is published by John Lane. The cover is green with an oval title ringed with gold. 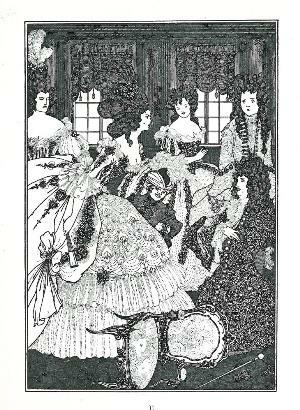 The book is 14.6 high and It is number 10 in a series called Flowers of Parnassus.